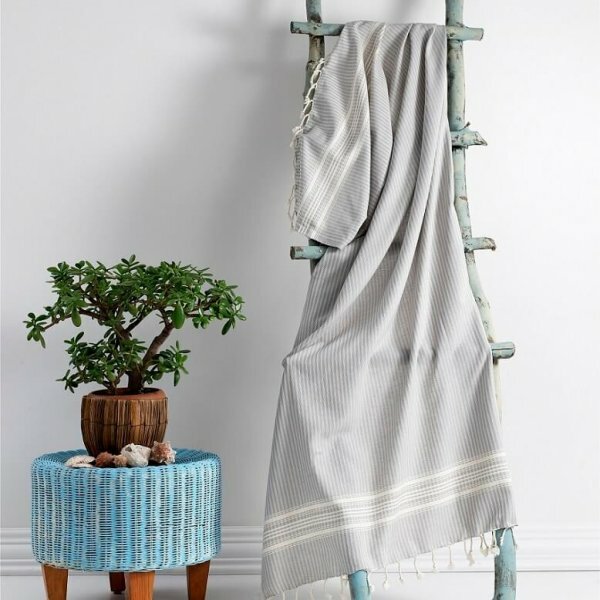 Trendy Turkish Hammam beach towels are outdoorsy people’s heaven. They are large yet ultra light and sturdy. 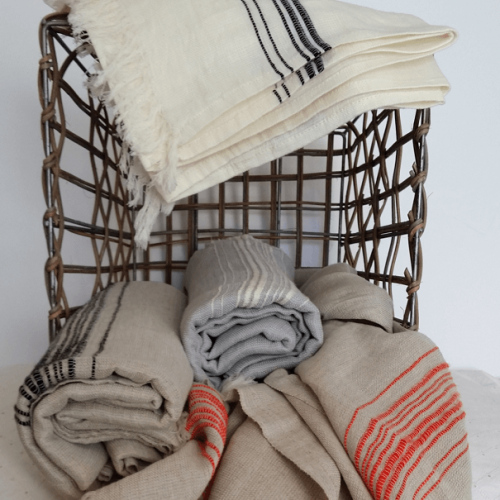 The hammam towels are just as great as travel towels. Likewise, they are fantastically compact and practical for camping, caravanning, gym to name just a few. 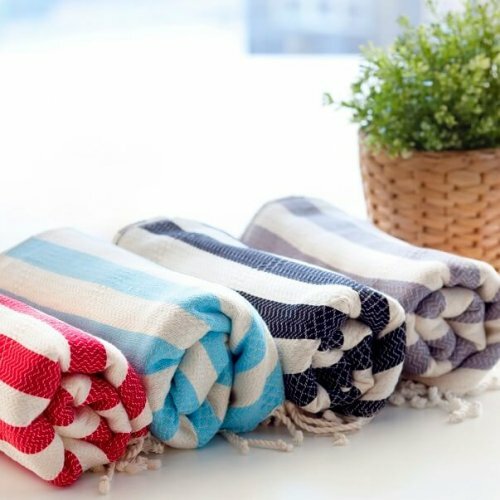 If space, weight and washing are the issues while you are on the go, then these amazingly compact and lightweight towels are just right for you. 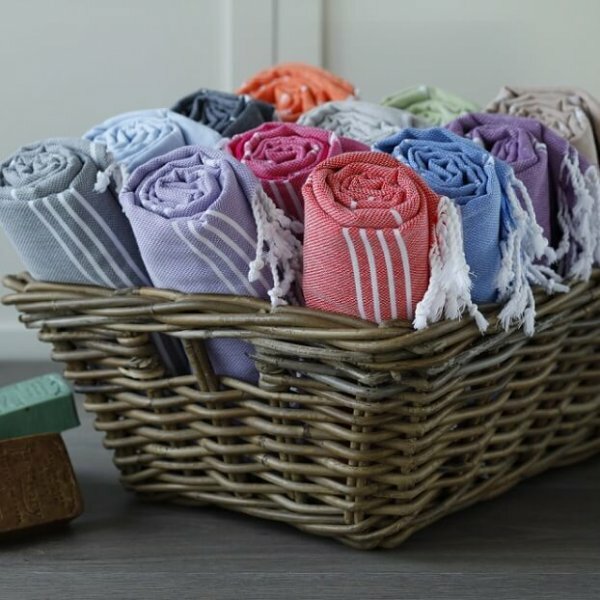 Trendy Hammam towels are also fantastically absorbent and quick dry without a chance to get smelly. Being surprisingly compact, it will help reduce the pile of washing and save on the energy bills. They are perfectly machine washable. If there is no chance of washing them properly in the washing machine then, no worries. Just rinse them and leave them air dry. Trendy Hammams will dry really quick, so you can use them again and again nice and crisp. 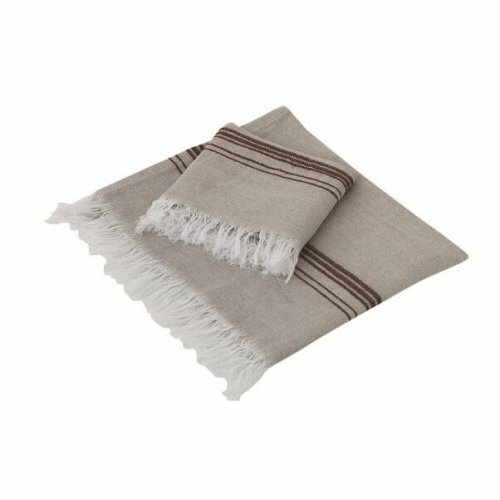 Trendy towels are the best outdoor towels ideal for Duke of Edinburgh, GAP year students, music festivals. They are uber practical for the sports bags, swimming kits and for any other outdoor activity where lightness is essential. 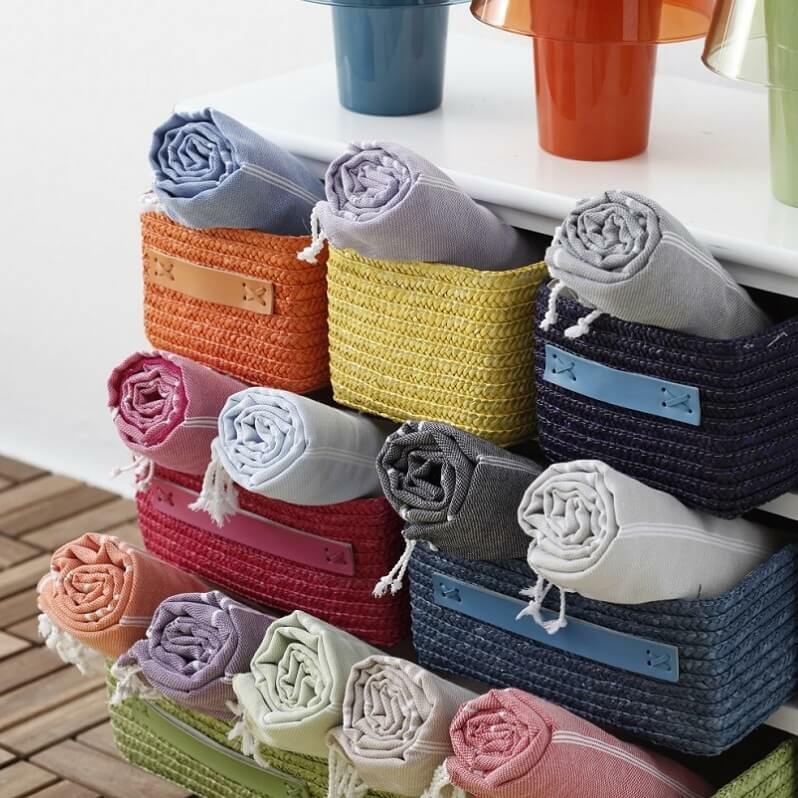 Moreover, these flat-woven hammam towels are super versatile. You can use them as a colourful sofa throw in the nursery or in the living room both for protection and ambience. Or you can put them into use as a stylish beach sarong or a modesty cover whilst visiting religious places in your travels. You are never out of choice. They are wonderful as a spa wrap or a sand-free beach blanket, a mini blanket to cover while on-the-go. A very unique and exciting gift idea for everyone young or old, male or female who appreciate novelties in life. Why don’t you make your outings more fun in style with less hassle? Trendy Hammam towels come with a wonderful selection of 20 uplifting colours. 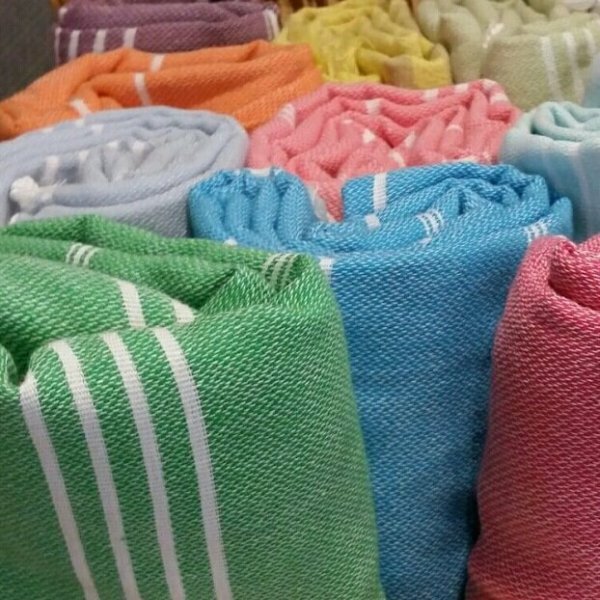 These extremely handy cotton hammam towels form a set with their matching hand towels and bathrobes for children and adults if you wish to. To see the matching hand towels available, please click here. If you would like to browse our legendarily lightweight unisex adult bathrobes, please click on Adult Unisex Trendy Bathrobes and for children’s bathrobes please click here. 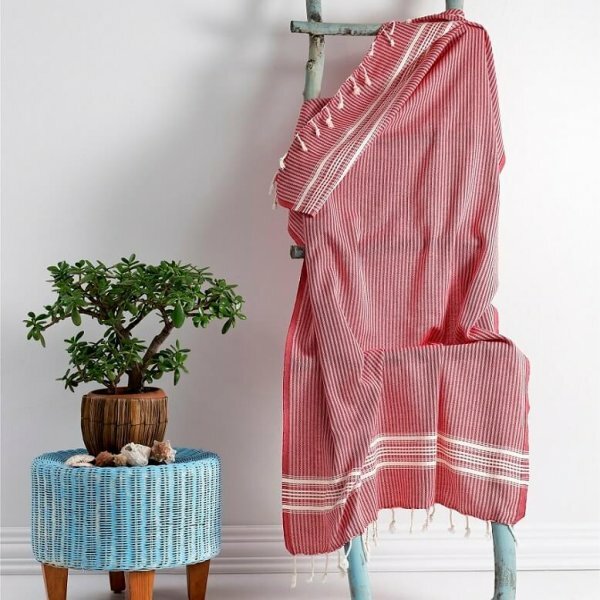 Please be advised that due to the unique crafting process of each peshtemal, there may be slight variations in size from the stated dimensions. 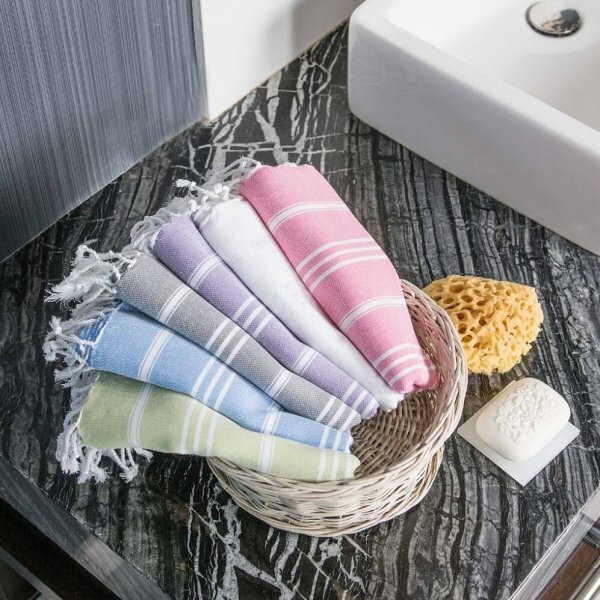 These towels will be softer and more absorbent with wash and wear. I bought a beautiful blue peshtemal towel which l can proudly hang at the side of the swimming pool! It dries easily and is soft and luxurious on the skin. I would thoroughly recommend this towel to anyone. It is also light enough to pack in my gym bag without taking up too much room. My daughter asked me to buy her one of these towels after she saw her friend use it at the school swimming gala. Was a great buy. They are very compact, absorbent and dry much faster then the regular towels I used to give to my daughter to take to the pool or the beach. I liked the choice of colours. Great value for money. Will make a great gift for a teenager. These are just perfect for taking swimming as other reviewers have said – they take up no room at all yet are lovely and large to wrap up in. 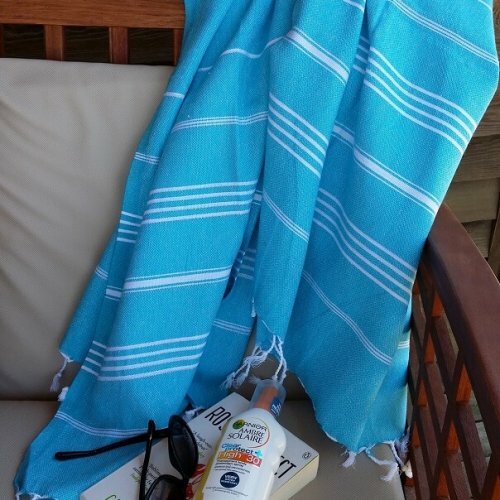 We also take ours on holiday as they weigh very little unlike a traditional beach towel and can double up as a sarong. Lovely item, great colours, they get softer with each wash and they are reasonably priced – I would not be without mine now!